DPU1U Series UNIFLEX® 1U distribution panels provide the ultimate flexibility in combining fuses, circuit breakers and/or an LVD in a dual (A/B) panel. A GMT section provides 10 fuses while a circuit breaker section provides 1-6 breakers. A low-voltage disconnect section is configured at the factory for either battery or load disconnect and can have an optional bypass switch. A battery circuit breaker is standard. Each A and B section has an LED alarm indicator and Form C relay contacts. The A and B Sections of the 1U distribution panel are isolated and can be configured independently at the factory for 12, 24 or 48 VDC, positive or negative ground. 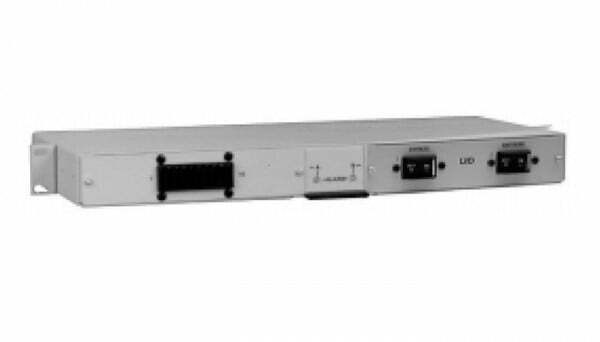 DPU1U Series 1U distribution panels are only one mounting position (1.75 inches) high and come with brackets that permit mounting in either a 19- or 23-inch relay rack. They can be mounted from the front of the rack with offsets every quarter-inch from front to back to align with existing rack-mounted equipment. NOTE: Each side of the panel can be configured for only one of the available ‘types’ as shown. To specify a complete model number see the configuration guide on the datasheet.